Ester joined Jimani Collections after spending ten months in the J127 Foundation's product training program. Among the Jimani Collections ladies, Ester is known for her sweet spirit and love for people. She is quickly becoming a skilled product creator who notices even the smallest details. 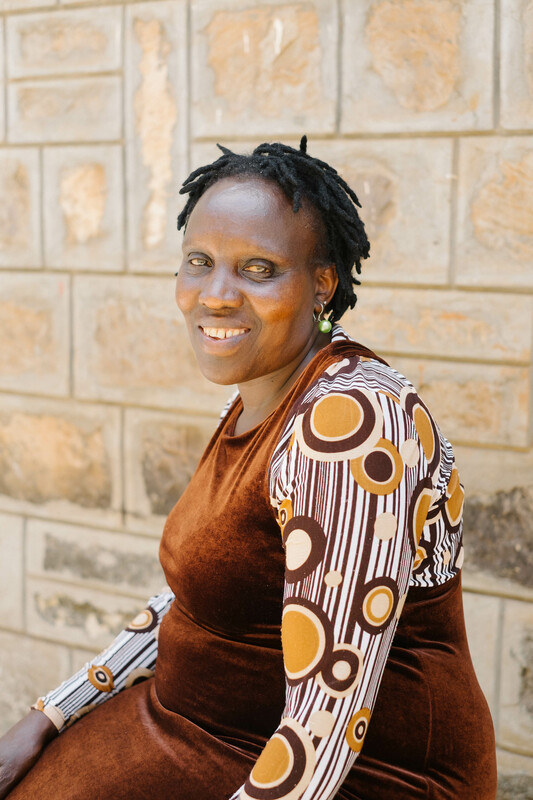 Her two children, Joseph and Chorcles, live with her in Nairobi. Lydia is one of Jimani Collections’ newest ladies. We first met her through the J127 Foundation, Jimani Collections' partner organization. Lydia spent 10 months with the foundation and was enrolled in their product training course, helping her to learn the skills she now uses with Jimani Collections. Lydia has three children: Lucy, Benson, and Sophtonia. She supports her family through the salary she receives from Jimani Collections each month. Young and full of joy, very rarely is Mamma Morgan not laughing or smiling. She keeps everyone entertained with her off-the-wall comments and observations. Mother to two kids, Morgan and Peter, and one on the way, Mamma Morgan lives with her husband and family in a small one-room house. Although her husband is a carpenter, work is very difficult to find. On average, he works one week each month, and the rest of their income comes from the products she makes. For several years they had hoped to save money as a family to build a house upcountry closer to family, and they were finally able to build this new home with money saved from Mamma Morgan's Jimani Collections salary. Well equipped with a sewing background, Nelly completed the most recent J127 Foundation sewing training program and passed the Kenya national sewing test. She is a mother to six children, three of whom are orphans. Nelly has a natural motherly touch that exudes warmth. Her attention to detail and quality of work make her a perfect fit in her role sewing and embroidery pieces for Jimani Collections. Mama Maureen is the cook for Jimani Collections, and she is a loving mother to six young children. She is thankful for her employment through Jimani Collections which has given her the opportunity to provide for her family, particularly her children. Mama Maureen first learned to cook from her mother, who is the main inspiration for her work. Mama Maureen's passion for people and for cooking make for the perfect match. Fidelia is married with two boys, and she is currently living in Korogocho. Her husband has only one hand and works at a car wash. 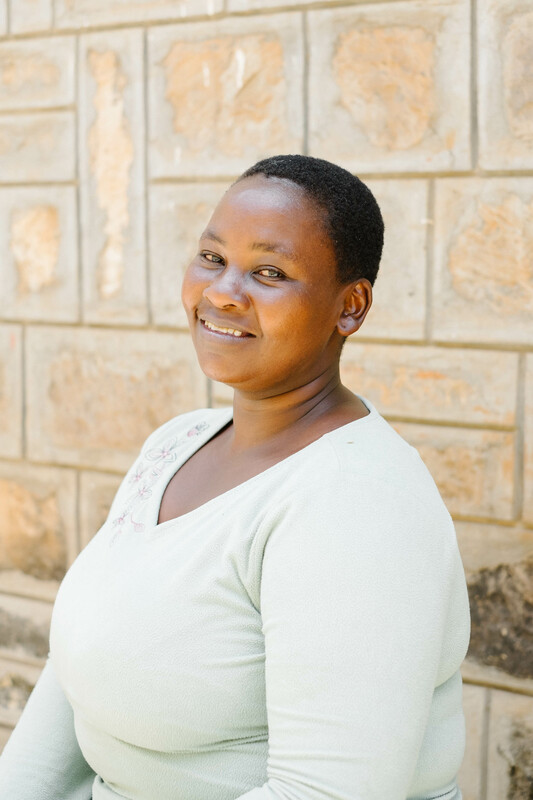 In the past, Fidelia has worked for companies like Frigoken to cut vegetables, and she currently works for a microfinance savings program and washes clothes part-time. After training, Fidelia would like to start her own business sewing grain sacks, and she plans on expanding by purchasing land in rural areas. Diana lives in Mwiki and has four children. Her husband is a motorcycle driver, and Diana is a housewife. She loves hairdressing and plans to open a salon after her time in the Entrepreneurship Program. Diana dreams of having a better job to earn enough money to buy land for her and her children to live better lives. Eunice is a single mother of three children, all of which are young adults, and she is currently supported by the church. She used to own a kiosk and was a hawker, but lost everything in the post-election violence. 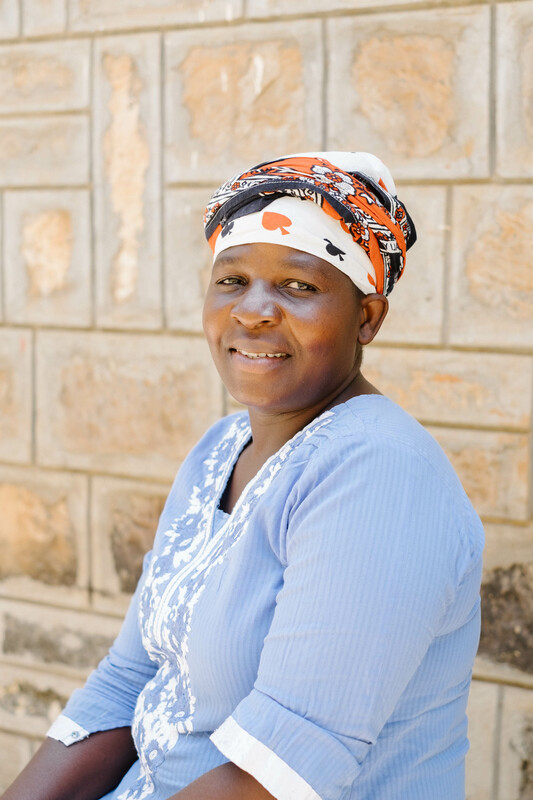 Eunice currently lives in Kiambaa and makes money by cleaning people’s homes, but her passion lies in knitting bags. After leaving our program, Eunice's dream is to have enough money to buy beads and thread to create handbags. For more information, contact us at hello@jimanicollections.com.